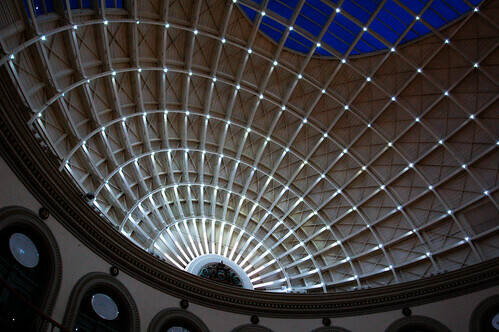 This is one of my favourite photos of Leeds, and keeps popping up on my Flickr stats as one of the most views. 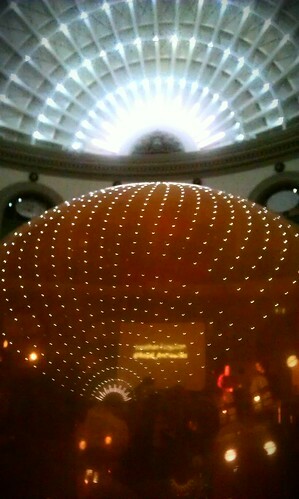 The Corn Exchange is an utterly brilliant place. 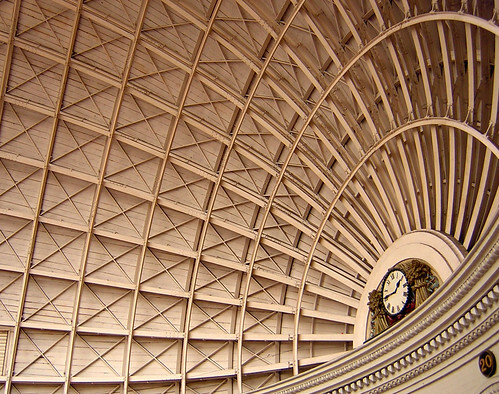 The other end of the Corn Exchange, taken at night – the ceiling looks like it’s covered in stars! This one is a panorama I took at one of the Bettakultcha events. And this is possibly one of my favourites – again at Bettakultcha, this time someone handed out balloons. Balloons are ace. You can make out the presenter of the talk (just about) through the balloon itself.